Hello! This is Sukie and today I have a sweet Easter card to share using my eBrush and Cut 'n' Boss. 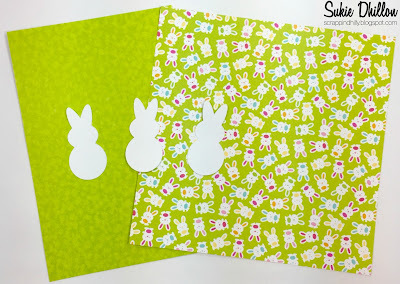 For my project, I selected a sheet of bunny paper which was the inspiration for my entire project. 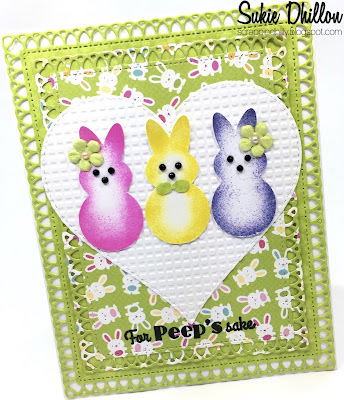 I found some textured paper in my stash which coordinated perfectly with the bunny paper. 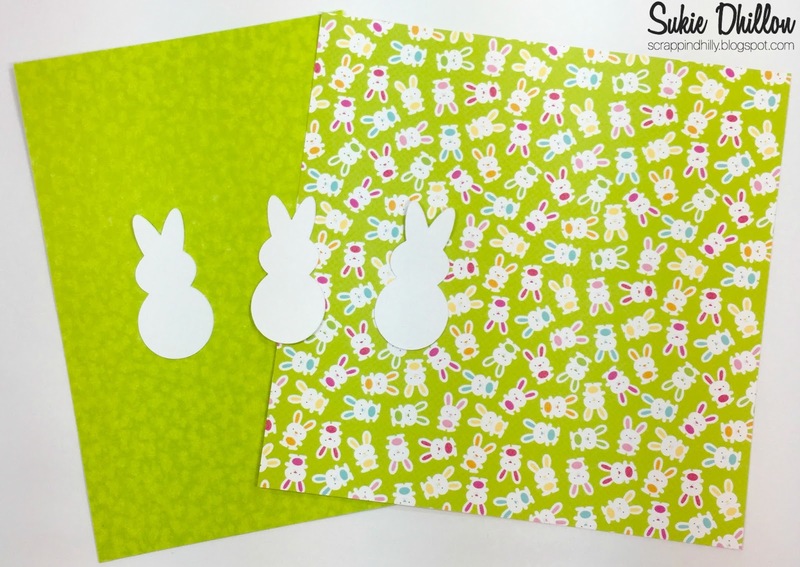 A SVG file was used to cut out the 3 bunnies with my Cricut Explore. 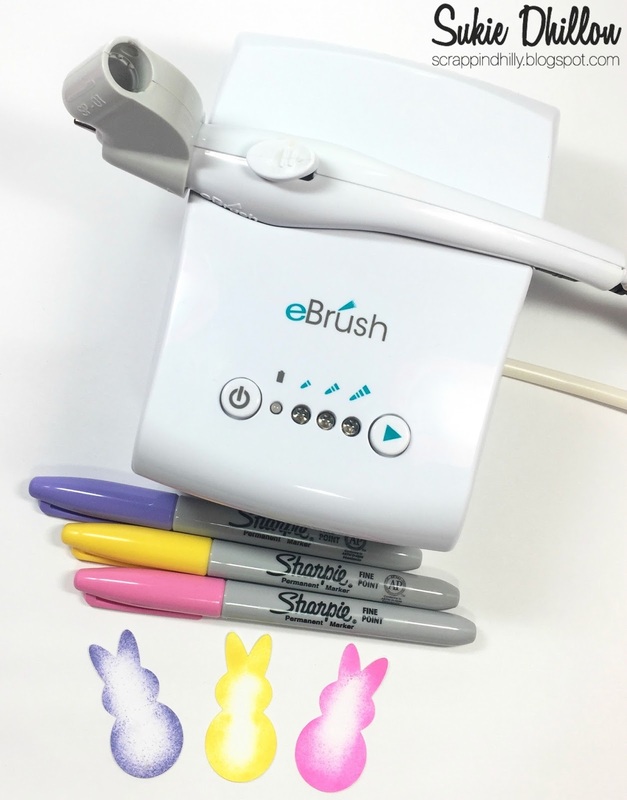 Each of the bunnies were shaded using my eBrush. I opted to use my Sharpies knowing I always have the perfect colors in my craft stash. 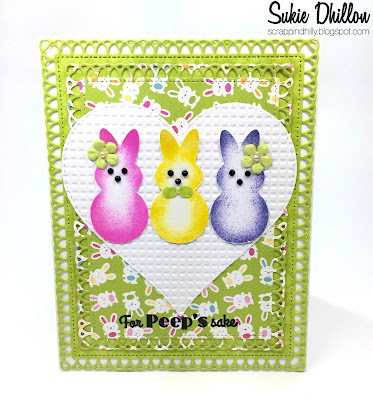 A couple of dies and my Cut 'n' Boss were perfect for creating the base layers of my card. 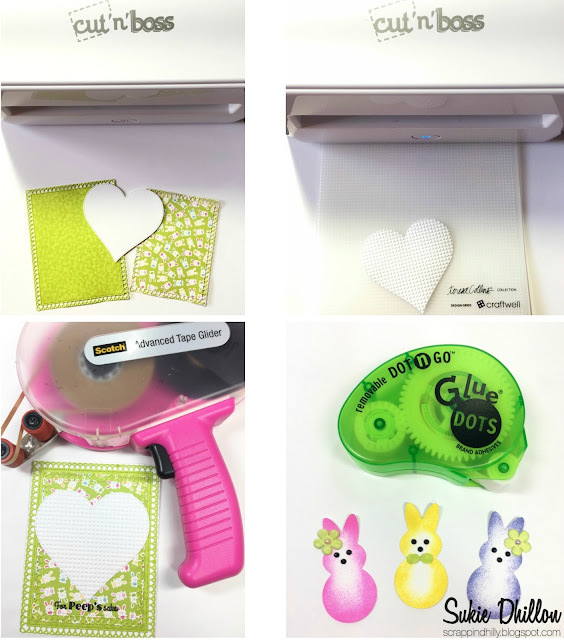 Next, I ran the die cut heart through the Cut 'n' Boss using the Teresa Collins Design Grids embossing folder. The layers for my card were attached together using my ATG. The little bunnies looked a bit plain so I added some tiny black pearls for their faces. A tie and a couple of flowers were adhered to the bunnies with my Glue Dots. 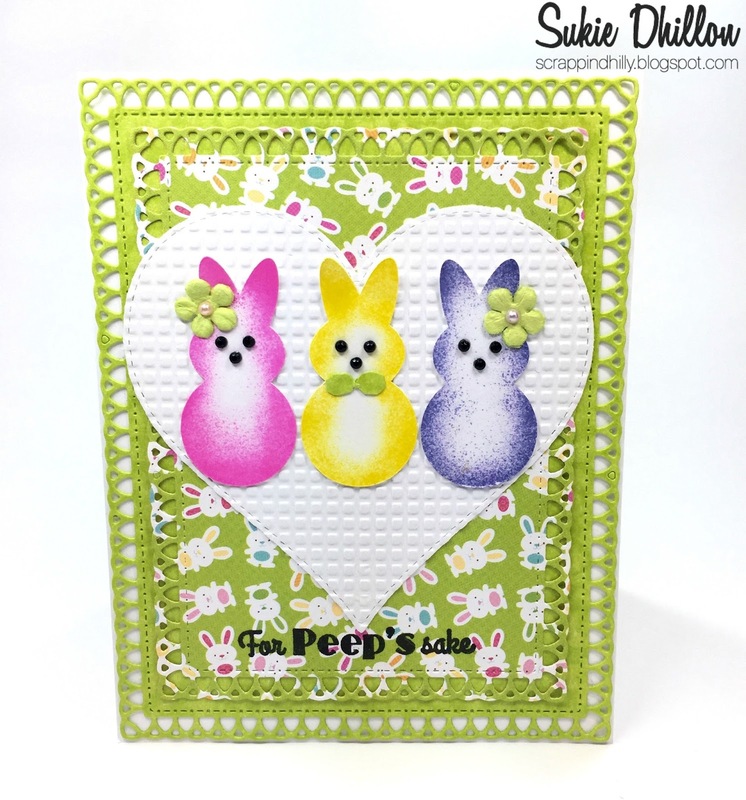 I love the removable dots since I was unsure of keeping the flowers on the bunnies. In the end, I liked the look of the flowers. Thanks so much for stopping by! Have a spectacular day!